Increased focus on computer science has recently brought about the new national curriculum in computing. It is the role of the Computer Science Teacher to not only understand the curriculum and subject inside out and teach it to their classes but also to influence their pupils perceptions of computing and how it will shape their futures. This book explores the role of Computer Science Teacher in a secondary school environment. An overview of secondary school computing is covered, along with what the role encompasses, the attributes, knowledge and skills required to be a success and useful standards, tools, methods and techniques you can employ. Case studies and quotes from schools and current teachers are also included. 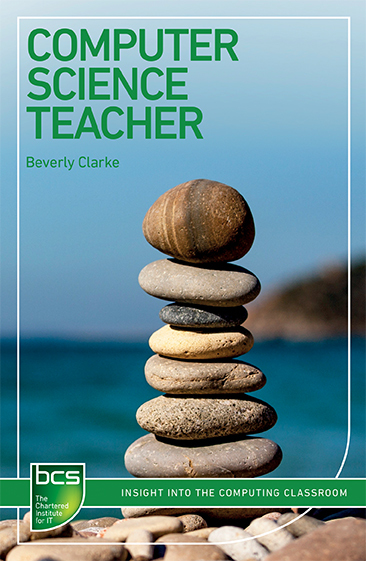 Beverly Clarke is an Education Consultant, CAS South West Outreach Support, CAS Master Teacher and Hub Leader. A former computing teacher, Beverly has lectured in further education and taught in a secondary school. She has worked as a part of the selection team for the BCS Scholarship scheme and has been the subject matter expert for Computational Thinking videos for BBC Bitesize. "If you are either training to teach or already teaching the secondary computing curriculum, you will need to know what effective teaching of computing actually looks like. This book is for you. Throughout the book, you will discover the insights found and the journey undertaken by the author, as a head of department, as she transformed her department from teaching ICT to teaching computing. This text will not only help you teach computing in a way that places learners at the centre of your planning but also seeks to motivate, engage and inspire them with a love of the subject, show them the opportunities that computing can present them and how computing shapes their daily learning, rest and play. In addition, the text provides practical guidance and insights for those applying for either their first teaching post or seeking advancement as a secondary computing teacher."